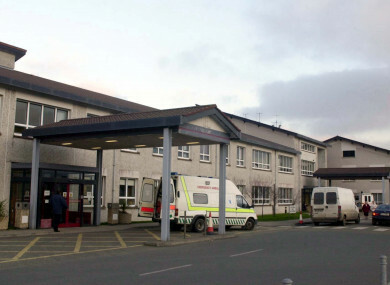 AN EXTERNAL REVIEW of the HSE’s management in regard to 13 probable missed cancer diagnoses at Wexford General Hospital has found that there were a number of missed opportunities in responding to staff concerns over the standard of a clinician’s work. An investigation began in 2015 into a consultant’s assessment of 615 colonoscopy screenings at the hospital in 2013 and 2014. As of 18 January, a total of 13 people have been found to have had their cancer misdiagnosed. The latest report, as seen by RTE, reveals that a HSE staff member first raised concerns about ‘Clinician Y’ in March and April 2013. It revealed that, in September 2014, a patient who had undergone a screening colonoscopy in April 2013 at Wexford General Hospital was found to have had cancer. BowelScreen was informed of this mishap October 2014. Later in October 2014, a second similar case emerged and BowelScreen was again informed. A recall of patients involved began in January 2015. The 24-page report said that “there can be no doubt that Clinician Y was underperforming”. “There were missed early opportunities to identify shortcomings in the performance of the colonoscopist responsibility for the incident,” the report said. Today’s report outlines that in March and April 2013, a HSE employee had expressed concern to Clinician Y about his work. The staff member went on to outline these concerns in May 2013 to BowelScreen by telephone and was reassured that the concerns would be communicated to the Clinical Lead at the hospital. A conversation took place between the Clinical Lead at BowelScreen and the Clinical Lead at the hospital. However, in June 2013, when the HSE employee saw no improvement in Clinician Y’s performance, they went back to communicate further concerns to the Clinical Lead at the hospital. The Clinical Lead at Wexford then spoke to other staff, who did not raise concerns about the person in question. In March 2014, the HSE employee was asked to document their concerns about Clinician Y. It was finally agreed on 13 November 2014 between BowelScreen, Clinician Y and Wexford General Hospital that Clinician Y would stop carrying out screening colonoscopies, until case reviews were completed. It was agreed, however, that Clinician Y should continue to perform colonoscopies on symptomatic patients under clinical supervision. The BowelScreen Clinical Lead then went on to review all screening colonoscopy reports since the programme commenced. On 15 January 2015, it was decided to recall a number of patients for a repeat colonoscopy. On 16 February 2015, Clinician Y ceased all colonoscopy work by mutual agreement by the hospital and Clinician Y. An internal HSE report in January 2017 identified 13 probable missed cancers, by one particular clinician. The report outlines that the BowelScreen Programme has learnt a “great deal” from the situation. It recommends that there should be a regular programme of revision of Quality Assurance Guidelines. It also recommends that the quality of screening colonoscopies be audited both at unit and individual endoscopy level, and that findings should be fed back to the provider unit in the form of a confidential audit. Email “HSE missed early opportunities to deal with missed cancers at Wexford hospital, report says ”. Feedback on “HSE missed early opportunities to deal with missed cancers at Wexford hospital, report says ”.